It’s a super fun giveaway day! The folks at Articulation Station have given me 5 copies of Ariculation Station Pro ($49.99) to give away! That’s $250 worth of goodies to give away! This is my favorite artic app, so if you’re not already using it – get excited! To check out my previous review click here. Their latest update allows the SLP to add their own images! This makes it very customizable! If you enter the rafflecopter please make sure you are using an email that you frequently check. The winners will be emailed Thursday evening and the codes expire on FRIDAY. You will need to respond ASAP or I will need to draw new winner! Enter via the rafflecopter below! Goodluck! a Rafflecopter giveaway This giveaway is provided by Little Bee Speech and open to residents in the USA. Ooh! I this is on my iTunes wishlist! This would be awesome for my artic kiddos!! I could use this for all my children. I have 3 that have speech delays in some form. They love their iPad..so this would be perfect to help them out!!! Eeeek! I would LOVE this! I’ve been trying to get my school to buy it for me all year! We just got iPads in my district and have Articulation Station at the top of our list when funds are available to purchase apps. Winning the app would allow me to use it without waiting for the $$! My students get bored with the apps I have. I would Love another option! I want to win because I just recently started my own private practice and my budget is always tight. This would be a great addition to my therapy arsenal! 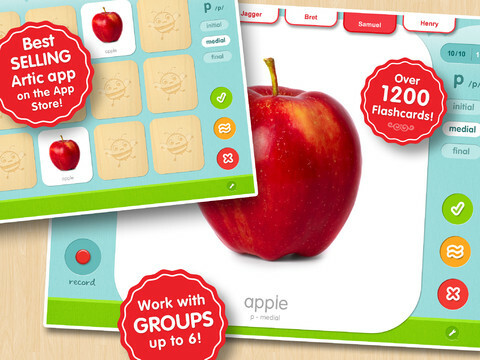 I would love to win this app because my students love working on the ipad! This would be great motivation to practice speech sounds! I have 30 ESLS kiddos that would absolutely LOVEEEE this!!!!! New, cool stuff makes life so much better! I want to win so I can give the app to the other SLP in my building. I think it’s an amazing app and would love to give someone else the chance to use it as well. I would love to win the app to use in my Externship coming up in January. I recently bought an IPAD!! This would be so cool to have and use! Because I am graduating from school in the next year and really need to start building-up my tools and tricks! Itinerant speech therapist over here with a couple of preschoolers who are HIGHLY motivated by new apps on the ipad! My students are so motivated by the ipad! Also, my school does not have speech sound cards for all their errors so this will add to our general resources as well! I would LOVE this app, and so would my kids! so fun! my kiddos would love a change and it would save me some time! I’m a CF… Aka drowning in school loans with very few resources! 🙂 This would be lovely to have! Would love this for all my future kiddos! I love this app! All I have is the free version…would love to have the whole app-just no budget money! I would love to have this app and so would my kids! Would love to win this for my son’s ST. I love the free version and have been wanting the whole thing but don’t have the money to buy it. Would love this for the kids I work with at the elementary level. I would love to win! I don’t have an articulation app! I’ve been using Phonics Studio. This is big on my SLP wishlist! Thanks for putting up this giveaway :). I feel like I have NO good artic apps, and spend most of my day addressing one sound or another. Great giveaway!! I would love to win! I work in early intervention and use my iPad all of the time…so motivating with my little people! My SLP kids are so bored with my crappy old laminated flash cards. This app would make me look “flash”. Love the free version of this app, but it’s not in my budget to get the full version. I would love to have it! This would be such an awesome app to use for my artic clients… they love doing things on my iPad but that’s usually my reward to them at the end of their sessions… imagine their glee when they find out we can actually use my iPad during the session for speech!!! This is the artic app I have been wanting for school! This would be great–an easy resource to have all the sounds at my fingertips! This app would be great as I start a new position! Would love to use this with my students while trying to get quick artic sessions done in the hallway! Las a intervention teacher and mom of an apraxiC little one, this will be great! Would LOVE to be able to use this with my students!!! The free trial is awesome, but I’d love having all of the sounds. How awesome! I’ve been drooling over this app for awhile :). Thanks for the chance to win! I love how this app targets sounds in all positions at the word, sentence, and reading levels. The full version would be useful with most of my students (kdg-5th). I’ve been wanting this app for a long time…looks awesome! I want to win because I don’t have it! I would like to win because I’m new to the field and have limited resources. I would love to have this program to use with all of my articulation kiddos! Thanks so much for the chance to win this, it is on my wishlist but money is short at the moment so it does not look like I will be able to buy it any time soon – I’ll have my fingers crossed that I get lucky! I don’t have many apps for my iPad and this would be perfect for so many on my caseload. Thank you for the chance to win! I would love to win because I never have a lack of articulation kids on my caseload and I love being able to use my iPad! I’ve heard so many great things about this app, but unfortunately, money is tight! I am a CFY and could really benefit from this app! 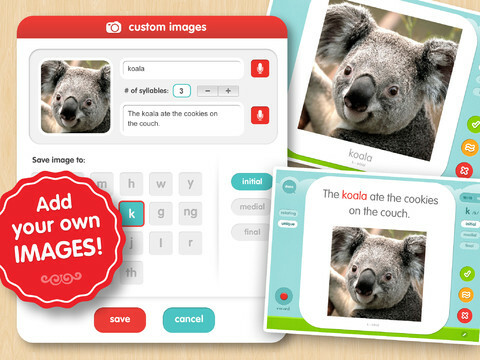 Would love to use this apps with my kiddos especially the sentence and reading levels. I want this one sooo bad. Have the free portion and the kids always want to play it!!!!!! None of the kids need to work on p so I don’t let it come out very often. Can’t wait to have full version! Your blog is amazing! I am an online speech language pathologist and have a private practice doing direct service with preschoolers. I am very proactive with technology! I have the trial version for this on my IPAD2, and it is great! I have not yet purchased due to lack of funds at this time. I would love love love to win this! Thanks so much! Crossing my fingers!! I would love to have this app! Thank you for the chance to win! I have heard great things about this app, but don’t have it yet. Over 1/2 my caseload is artic! I would love to win this. I am a new SLP and looking to build my library of apps! I am trying out the 7 min artic drills and would love something portable to use with the kids that is efficient and fun! I just purchased an iPad for my preschool classroom and am looking to fill it up with great quality apps! This would be perfect! I would like to win because technology is such a motivating tool for my speech kids. I feel that with the articulation station app my kids will have the opportunity to produce their sounds many more times during therapy while having fun! Thank you so much! I absolutely love this app!!! I use it all the time because the sentence are loaded with so many other sounds. Right now I only have the lite version and use the /p/ sentences to target many different areas with my elementary kiddos. I would LOVE to win this app. Definitely on my list of ‘wants’! My students would love this. I have been looking for new ways to target artic goals on the iPad. Thanks! I have students who would love to use this app!!! I need more artic apps!! It would be so wonderful to have a new artic app. I would love to be able to add my own pictures for students to make their practice personal! I am a CF SLP and I could use all the help I can get! Thanks for the chance! Your materials are fantastic! I’d love to win for all of my articulation students. Using technology is always a plus to draw them in! I would love to win this app! I have used it a couple of times on a co-worker’s iPad but would love to be able to use it with all of my artic students. Always looking for fun Artic activities and I’ve heard nothing but good things about this app. You’ve added so many great things to my growing repertoire of activities. Thanks a lot! Would love to win-thank you! This would be great for son with apraxia! I work for a small rural school system and have a very tiny budget. This would be so useful for my students and a great motivator. I want to win because I have so many artic kids that this would really come in handy for! I would love to win this for my preschoolers. I have the lite version but all it has is /p/. Love your blog! I would love to win this! I’m trying to build up my own materials for when I get my CCC’s! This would be amazing to use with my kindergarten and grade 1 students! Fingers crossed! Thanks for the great materials and give a ways!! I’d like to have one more artic app to allow for versatility! This app would be awesome. I have tried the lite version and I really like it. I’ve heard so many positive things about this app! As a traveling SLP this would be a great resource and would really lighten my load! This would be a great app for my artic. students and it will work on my iPod touch! I would love to use this with my kiddos! I am a CF and I do not have a lot of materials for articulation!! Other SLPs in my district have talked about how much they love this App! I would love to win it!!! Fingers crossed! This app comes highly recommended…I know my artic kiddos would love it! Here’s hoping! I have purchased a few sounds and my students get a kick out of the recording feature. I would love to have the full set of sounds! Thanks! I’ve had my eye on this app for some time, but haven’t pulled the trigger…would LOVE to win this app!!! I would love to win this app because it’s been on my wishlist since it came out!!! This app would be great!! Would love to win! This app would be great for my kiddos! Looking to add material to my arsenal of tools. I am 2 years post grad school and a new mama to a 4 month old. My budget for my speech kiddos is pretty small these days. An app like this could help 90 percent of my caseload. Thanks for the awesome opportunity to win such a great therapy tool! I would like to get the full version, since the free version is limited. Have the free version and really like it. Would be wonderful to have the full app. Great for an ipad loving guy with apraxia. This would enhance my kid’s articulation therapy immensely! I have a 5 yr old in Sr Kindergarten and a 3 yr old starting Jr Kinder in the fall…. lots of prep for the 3 yr old because he doesn’t want to do things for more that 1 min… Thanks!!!! all the supply money has dried up, and this app would greatly benefit so many students on my caseload! I love the lite version and would LOVE the full version! I love and use the one sound I purchased, but I can already tell how I could really make use of the full version! Dear Santa: We are on the “been good” list at Avon Elementary in MN, working hard to improve our communication skills. This app would be so beneficial for all the kids on my caseload improving their articulation skills. It would also be helpful to work on vocabulary and describing skills. Articulation Station will help me be a better therapist for my students! Thanks so much for your consideration! My students get so excited when we use my iPad in therapy. They would LOVE this app! I need this for therapy so bad! This is so generous! Thanks for the opportunity to win! I SO need an articulation app for my artic/phonology students at school–they feel left out because only the language impaired children get to use my iPad!! I have the lite version of this app, and I love it–but there just aren’t funds for quality apps like this, and my personal wallet can barely afford the $1.99 apps. This would be a very helpful app! Hope I win!! I would love to win this because I could really use this app with the high number of articulation students I see. I love the free version of this app so I know this would help me out tremendously! This app would be awesome, I have had it on my wishlist for a long time! Thanks for the chance Miss Jenna and LittleBeeSpeech!!! I just ordered an iPad, and I’m looking forward to using it as a therapy tool. This would be an excellent place to start with building my library of articulation apps. This would be my first app, and I’ve actually researched a few and have known for many months now that this is the ideal speech app for my students….just can’t quite fork out the $ for it yet. 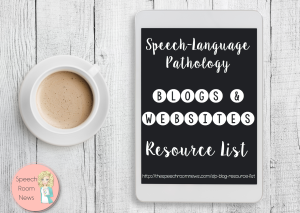 I’m a huge fan of Heidi and have found, used, and loved so many of the worksheets and information she has shared on mommyspeechtherapy.com. She really helped me rethink how I was providing articulation therapy, especially as I moved from words to phrases/sentences, etc. I’ve used the system she uses through her worksheets (which seems to be the same for the app) with great results, and I think the app would be the icing on the cake, especially with the new feature that you can add/upload your own photos. It’s for sure top on my wish list. And I’m new to your site and totally in love. 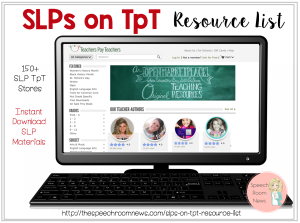 I signed up for TPT just so I can get some of your materials. 🙂 Thanks for sharing! I have been teaching my clients (as well as my own children) the difference between WANTING and NEEDING something. Well, I NEED this!!!! I have so many clients who would benefit from this artic app. I would love this app to use in therapy with a range of early intervention clients! I’d love to win becuase I never win anything! HAHA. I love all your stuff and can’t stop recommending your blog! Merry Christmas! I would love to win this because I have been looking for a good articulation app! I currently have the freebie version of this and would love the full version! I have 3 sounds for this app and I would LOVE to have the whole shabang!!! My students would love this app! This app would be so useful for artic kids! As a rural slp in a district with limited funding, I’m always looking for easy, efficient and cheap ways to help my kids. This ap would be great! Love your blog! And love my iPad! This would be a great addition! I think my sr. clinician had this app when I was working with her! She loved it!!! I’m always looking for new articulation apps…I’d love to try this one! I am always looking for new and exciting ways to target articulation. This would be perfect! This would be a great motivator for my artic groups! I would love to win to be able to use this with the numerous articulation impaired students on my caseload! would help with multi-tasking for my large artic groups! I’ve heard so many good things about this app! Most of my kids only get a chance to use an iPad at school since parents can’t afford it. I would love to introduce them to this! I just got an IPad and would love to have this app! Really hoping to try this app out! Heard nothing but great things! Plus, I read your blog everyday on my lunch break! LOVE taking ‘me’ time to find new ideas here! THANK YOU! This app has been on my wishlist for ages! I would love to win! I would loooove this app! Everything in one place?? Yes Please! My caseload is almost all artic kids so this would be so FUN to have! The kids would think it’s a whole new activity! This would be such a great addition to both our group and individual sessions! I would love this app! It would help me get even more use out of my iPads! Would LOVE to win this app! It would help me cut down on all the artic cards I carry from school to school! I would be soo greatful to win this app!! Because I have to use my own money to purchase apps for the iPad I get to use, I currently only have “free” ones on there and they don’t have all the sounds I am looking for. Don’t have it, but would LOVE to have it!!! I have a huge caseload of preschoolers and this would make my group sessions so much easier! I use my iPad all the time!!! I would love the opportunity to win this app to provide a new and fun way for my students to practice their speech sounds! I really like that it has a recording feature so they can help monitor the correct use of the sounds! ok..this is the first time I have made a blog comment on any blog… so here it goes. 🙂 I have been following your blog for awhile now and LOVE all of your ideas but have never commented before. I just got an iPad recently and would absolutely love to have this artic app. I don’t have any good artic apps yet on it and this would be amazing to use with my students. I have looked at that app many times, and just have not broken down to get it…I think it looks marvelous! 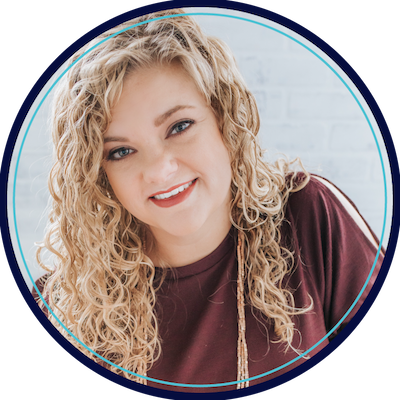 I also love your blog Jenna…you have a positive energy that I love, and some great ideas! Thanks for all you do! I should win this app since I do 5 Minute therapy and my students would love incorporating drills with games. I would love to win this app! I could really use a new artic app. I am getting ready to begin my school externship for my graduate program and I would love the opportunity to share the full version of Articulation Station to the students! I love this APP so much more than the one I am currently using. The word selection is so much better!! This would be a great start to entering the world of apps–new to me! Just got an Ipad would be a great addition! I have used this app and it is so great! Also very convenient for traveling! I got an iPad for therapy last year and I would love to have this app! The pictures look fantastic! This is a great app, but I only have parts of it, and would love the whole thing! This would help me save time and my back when I travel! I love, love, love to use my ipad for articulation therapy but I am getting tired of my one and only articulation app. This looks fantastic and I would love to have another app to use! I have the free version on my ipad and have been looking at it repeatedly trying to decide if I can buy the full app. It would be so great to have, but for a grad student, it’s pricey! I have a very limited budget and a very diverse population. In researching artic apps, this one is at the top of my list for my speech kids. I like that it has recording/self-monitoring available, and different levels so we can work up the hierarchy and the ability to save specific word lists (so you don’t have to waste precious time sorting out words with/without specific features). The ability to add our own pix is awesome. Now I just need to OWN the app….I’d be a hAPPy SLP. I would love to win this app! I have heard great things about it. I love that you can add your own pictures to this app. I work with students that are working on their intelligibility when using functional, core vocabulary. As a CF- I am in desperate need of new materials – this app for be great! This would be awesome to win! I travel between 5 places and always forget the deck of cards I need or the students are ready to work on a new sound. This would solve all problems! I just received an iPad from my employer and would love to add this app. I would love to have a new artic app! This app has been on my wish list for quite a while. I would love to win! I have been dying for this app since you first told us about it!! It will be great to use in therapy! This would be awesome for some of my artic kiddos! i’ve used this app some in therapy too and I love it. i would love the full version!! I’ve heard great things about this app…and if its your favorite, it must be great! I know my kiddos would love it. Fingers crossed. Thanks! I HAVE HEARD GREAT THINGS ABOUT THIS APP FROM THE PRESCHOOL THERAPISTS AND WOULD LOVE TO TRY IT WITH MY ELEMENTARY KIDS.